Many people have been getting to the end of their billing month and receiving a massive bill due to data usage. Many people only use their mobile when they are at home or in a Wi-Fi cafe yet they too are having this problem. If you’re like me and have noticed your data has been getting eaten up a lot more than it has ever before than you’re probably wondering what could be the culprit. A new feature was added in the iOS9 update which you might not have noticed. This new feature is Wi-Fi Assist. This feature was created to make your internet experience more consistent while on your mobile. When you’re on a Wi-Fi network that has erratic service, such as internet connection dropouts, Wi-Fi Assist uses the cellular network as a secondary data source. While this sounds like a great feature to have on your phone, its this feature that is the culprit for eating all your mobile data. 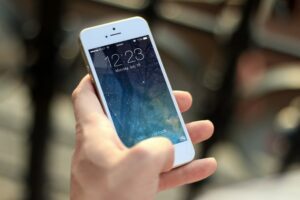 It states on the Apple website “Because you’ll stay connected to the Internet over cellular when you have a poor Wi-Fi connection, you might use more mobile data. For most users, this should only be a small percentage higher than previous usage”. Yet if you’re like me, this “small percentage” is a lot more “than previous usage”. If you are wondering how you can save your data, I’d recommend starting by turning Wi-Fi Assist off. 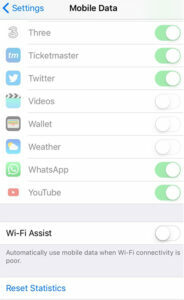 To disable Wi-Fi Assist use Settings > Mobile Data > scroll down to the bottom > Deselect Wi-Fi Assist. If your home Wi-Fi network or that of a Cafe you are using frequently for Wi-Fi is causing you problems, fixing the network or letting the cafe know is a better for a long lasting solution. Have you had any problems with Wi-Fi Assist? If you have, we would love to here from you! Please comment on our Facebook page or tweet us on Twitter.